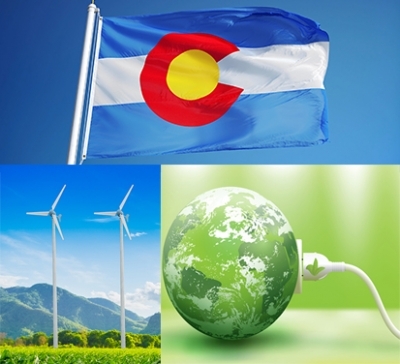 This study by PERI researchers Robert Pollin, Jeannette Wicks-Lim, Shouvik Chakraborty and Tyler Hansen advances a transformative investment program in energy efficiency and renewable energy supply, which can reduce Colorado’s CO2 emissions by 50 percent as of 2030 and 90 percent as of 2050. Fossil fuel consumption will need to fall as clean energy substitutes expand. Clean energy investments will generate about 100,000 jobs per year, while about 700 jobs per year will be lost in the fossil fuel related industries. The study proposes a Just Transition program for workers impacted by the fossil fuel contraction and broader measures to support the investment project. This paper by PERI Co-Director Gerald Epstein considers some of the central limitations of Modern Money Theory (MMT), including with respect to international financial markets. Epstein argues that these constraints are much more binding on the policy applicability of MMT than many MMT advocates appear to recognize. To address these limitations, MMT analysts would have to enter the messy institutional, policy and empirical realms that undermine their simplistic policy proposals. Epstein concludes that, in light of these limitations, MMT’s major policy suggestions are of little practical relevance for progressive macroeconomic policymaking. >> Read Epstein's blog critique, "Is MMT 'America First' Economics?" This book by James K. Boyce on the environment, inequality and the economy, argues that there is not an inexorable trade-off between advancing human well-being and having a clean and safe environment. The goal of economic policy should be to grow the good things that improve our well-being and environmental quality and reduce the bad things that harm humans and nature. To reorient the economy for these ends, we will need to achieve a more egalitarian distribution of wealth and power. Global climate change – the most pressing environmental challenge of our time – adds urgency to this task and creates historic opportunities for moving towards a greener future. This study by PERI researchers Robert Pollin, James Heintz, Peter Arno, Jeannette Wicks-Lim and Michael Ash presents a comprehensive analysis of the prospects for a Medicare for All health care system in the United States. >> Read Robert Pollin's Wall Street Journal article, "The Case for Medicare for All." Mara Prentiss, Harvard University Professor of Physics, "Energy Revolution: The Physics and Promise of Efficient Technology"